It will dip and recover to imitate a bird of prey. The kite is reinforced and stitched at all the wear points making it extraordinarily tough. 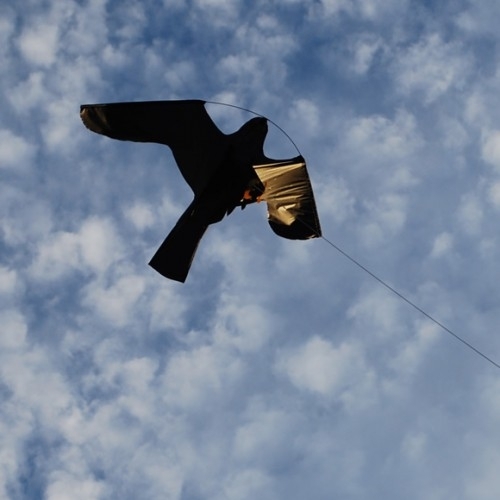 Using carbon fibre strutts – it is extremely strong, light and flexible, flying in the lightest breeze.